Jaden is one of our 2017 Grin Kids. 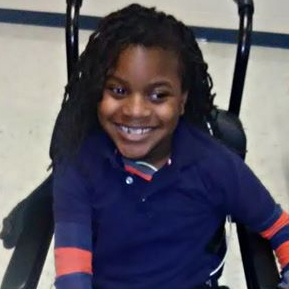 He’s 8 years old and he’s living with Cerebral palsy. Jaden loves to drive trucks, ride go carts, and spend time with family! His FAVORITE character is Donald Duck and we’re going to make sure Jaden gets to meet him… We’re so excited to take Jaden & his family to Disney World in a few months! If you’d like to help support Jaden’s trip, click the link below!